A.B. 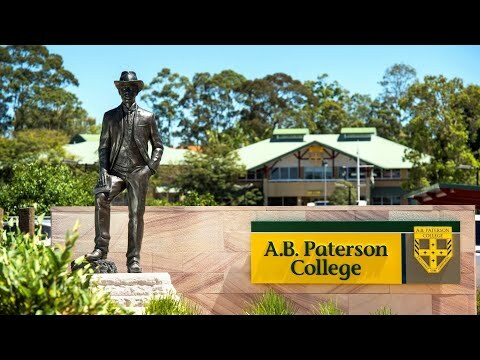 Paterson College is a co-educational, non-denominational independent school, with an enrolment in 2017 of approximately 1400 students, located on the northern end of the Gold Coast, Queensland. Welcome to A.B. Paterson College. We would like to take this opportunity to commend our College to you as a thriving and dynamic environment, and a place of outstanding educational opportunities and offerings. We would love to discuss with you how we can offer your child the finest of opportunities. We look forward to talking and meeting with you and your family, to share more about our unique College. We welcome your enquiry. provide opportunities for them to undertake further accelerated learning. The students complete an individual research project, which should assist them in pursuing their professional ambitions after graduation. Its basic value is to afford students the opportunity to pursue skills and interests at an advanced level, and grow in self-knowledge as the planned project develops. The Honours course at A.B. Paterson College comprises a group of the most advanced students, who are offered the opportunity to apply for a place and who are, subsequently, accepted into the course. They are expected to be highly motivated and dedicated to their educational experience. In Global Issues Problem Solving (GIPs), students apply the Future Problem Solving (FPS) thinking process to a written analysis of a scenario called a ‘future scene’. During the year, working in teams of four, they analyse three future scenes, each based on a different topic. Students are aware of the general nature of each topic, and are required to research the relevant topic prior to attempting the analysis. Using research, to generate insightful and creative analysis of the predicted scenario, is the key element in the FPS technique. There is a six stage creative problem-solving process. Throughout the year, students learn to apply these skills gradually to a series of problem situations on internationally-set, significant social, economic, or scientific issues. The focus for each problem is a future scene. FPS is offered as a co-curricular opportunity at A.B. Paterson College for able students in Years 5-11. Students are invited to apply to participate in the programme. Training runs from Terms 1-3, and then preparation sessions are offered in Term 4 for the following year’s programme. The da Vinci Decathlon is an event for Years 5/6, 7/8 and 9/10. This “decathlon with a difference” is an academic inter-school gala day run in the spirit of an Olympic Decathlon, and has been running in New South Wales for the past nine years. It is a Knox Grammar School initiative. A.B. Paterson College is the Queensland Chapter School and, as such, we host the QLD State Championships. Each team is made up of eight students; teams are made up of students who are able to complement each other in the various disciplines. The tasks each year are exciting and challenging, with a particular emphasis on higher order thinking skills, problem-solving and creativity. Students working collaboratively in teams are highly stimulated by competing in tasks that encompass engineering, mathematics, code breaking, games of strategy, art and poetry, Science, English and forensic sleuthing. Deep questions of Philosophy are intriguing, and they encourage thoughtful discussions about the problems that confront us as human beings. Via a “Community of Enquiry,” the A.B. Paterson College Philosophy Club engages with philosophy in a way that appeals to students’ curiosity. It is not about what to think BUT, instead, how to think. The A.B. Paterson College Philosophy Club aims to open up the “Community of Enquiry,” and help students navigate their way through complex issues in a fun and age-appropriate way. Each year, we send participants to the State Philosothon. This is hosted by the University of Queensland. The National Philosothon is held each year in Western Australia at Hale School. We will be looking to send a team to this event in 2015. Innovators of the Future (IF) is a day designed for students with high ability and interest in the field of Science. The day includes practical lab work (Physics, Chemistry and Biology components), group collaboration, problem-solving and an amazing Science Show - ‘Flashes, Bangs and Cool Chemistry.’ Teams of six students (Years 4-6) participate in this event, hosted and run by A.B. Paterson College. The College’s Science and Academic Talent Development teams work together to create this amazing day of Science. 27 years ago, A.B. Paterson College Founders held high expectations of providing the best possible education for their own children and those of the wider community. Dedication, courage, commitment and a strong work ethic from the members of the College community, combined with high expectations upheld by the College’s founding and subsequent staff throughout the years, are the qualities and values that the A.B. Paterson College community continues to espouse, nurture and emulate. A.B. Paterson College has forged traditions that have enabled it to enjoy a reputation in our local community as a leading school of substance, one that celebrates our Australian heritage and one that embraces traditional family values, whilst inspiring progress and embracing the innovations of 21st century education. In its relatively short history, the College has developed magnificent facilities, core traditional values, a leading teaching and learning framework, and is now integrating numerous technologies to greater assist and help students learn and connect responsibly with their world, and to provide the foundation for genuine leadership development in all its young people. Today, academic results continue to grow from strength to strength, with the achievements of past and present College students in local, national and international arenas. Sporting and cultural successes have also burgeoned; but, most Importantly, service to others continues to grow whereby, in helping to enrich the lives of others, each member of our College community is, in turn, also enriched. “We aim to help each and every child grow and realise their potential, aid in their development of character and those essential attributes that enable young people to grow into men and women who are strong, positive, engaging, responsible and respected members of society, and who understand the value and importance of service to others,” says Principal, Brian Grimes. A.B. Paterson College will continue to equip its students to be the entrepreneurs of the future – highly collaborative, creative, curious and innovative risk-takers – who will serve their communities with purpose and character as contributing citizens of the 21st century. Students enjoy modern buildings with excellent facilities including our Multi-Purpose Centre, Mathematics Learning & Research Centre, Lilly Pilly Learnig Centre (Prep-Year 3 Library), Collaborative Learning Centre, Art studios, a kitchen and Food Technology Facility, sports courts, ovals, eight science laboratories, a Performing Arts Centre with full fly tower and state of the art audio/lighting rigs, and a 25 metre heated pool. Classrooms are networked and information technology is an every day tool in learning. Touchscreen technology in Junior School classrooms and high end software is in use.Smart tables with touch screen technology are a shared facility in the Collaborative Learning Centre. The College has maintained its strong reputation for high academic outcomes since its establishment through the deliberate cultivation of a culture to support individual student achievement. Teachers are committed to the College’s ideals and work closely with students to support them in rising to the challenge to achieve their goals. Students are also expected to support one another in achieving their personal best. In addition to offering subjects important in preparing young people for future careers and for making positive contributions to society, our teaching and learning practice combines the best of tradition with strategies based on contemporary knowledge of the way the brain functions and learns. We use the Teaching for Understanding framework (from Project Zero, Harvard Graduate School of Education, USA) as the basis for developing a thinking culture to help students go deeper in their understanding and relate learning experiences to real life situations. In catering for individual student needs, we prepare students for university, trade based further education or careers. Since our first Year 12s graduated in 1994, an average of 99-100% of students have received tertiary offers, the remainder taking school-based traineeships that are usually converted into jobs or apprenticeships on graduation. The academic curriculum is designed on a Prep to Year 12 basis so that students can follow a clear and well planned pathway from the first day of school to graduation. We believe that ‘who’ a child becomes is the most important outcome of education. A well-rounded, caring, confident young person, with a positive attitude, can be successful in personal relationships, in a career and in the community. Strength of character is developed over time through the experiences we have – especially those that challenge us – through interactions with others, through developing positive values and goals, and through the leadership of healthy role models. A.B. Paterson College uses the Virtues programme as the foundation of its personal development lessons. The Virtues chart focuses on elements of good character identified across race and religion as essential to good character development. Our pastoral care network is designed to support that personal journey with teachers actively involved to help students achieve a well balanced education. Learning who we are is part of our spiritual journey, whether approached through formal faith development or secular means. At A.B. Paterson College we take an active role in developing strength of character through encouraging respect for self and others, leadership challenges, and formal and informal programmes of personal growth. Our pastoral care network is designed to support that personal journey. 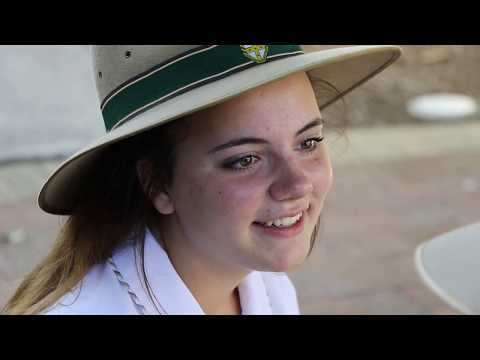 Formal Pastoral Care: Senior School – Years 7-12. Students are placed in one of four Houses and, in the Senior School, pastoral care is organised through House Tutor groups of 20 or so students from Year 7 through to Year 12. Team Spirit: This vertical grouping allows older students to act as role models and offer support for younger students in a family style environment. Students remain in the same House group with the same House Tutor, where possible, through to Year 12, unless there are good reasons for making a change. The House tutor monitors each student’s overall progress and development, ensures they are involved in co-curricular activities to enhance their sense of belonging and identity, and establishes contact with families. Some formal programmes are run in either House Tutor group or Year groups, as appropriate, including conflict resolution, drug education, relationship building, etiquette, social skills and community involvement. House Tutors and students are supported by the Head of House and the Head of Senior School who handle behavioural issues, and by the College Counsellor. Junior School – Prep to Year 6. Students are placed in one of four Houses, though their participation in these is restricted to House Carnivals and competitions. Because of the different ages, and developmental needs of children, the class teacher and Head of Junior School monitor children’s daily and overall progress in close contact with family. In Prep to Year 3, the classroom teacher is the main carer and provides opportunities for personal and social growth. In Years 4-6, issues of friendship, family, drug education and conflict resolution are dealt with in class as they arise, as is the process in Prep to Year 3. The Virtues programme provides the foundation for character development. Year 6 students undertake training in Peer Mentoring to assist other Junior School students, and as part of leadership training. Counselling The College has a qualified Educational and Counselling Psychologist, and a Careers and Personal Counsellor on staff to assist students with any necessary social and psychological support, as well as guidance with regard to personal, family, friendship, emotional and academic difficulties. Parents have full access to engaging the counselling and support services for their child. Education is an exciting adventure, one the College hopes students will enjoy during school and beyond. We strive for great things for all our students because each student has something unique to give to others and to the world by leading in his/her own way. A Prep - Year 12 programme effectively promotes the development of intellectual character through the provision of a seamless curriculum and consistent expectations and values. All members of the College and broader community have the right to be treated with dignity and respect. Students need to understand and appreciate their Australian culture and heritage, including its Christian dimension, with a view to contributing constructively to society. Co-education offers boys and girls a learning environment that reflects society and encourages respect for both genders. Parents are the prime educators of their children and the achievement of educational excellence requires an effective partnership between home and school. The College is a learning community where the development of all members is fostered. high expectations of student attitude, behaviour and performance; overtly demonstrated loyalty to the College and a strong School Spirit; the ability to respond readily to the needs of students, the community and society. A.B. Paterson College aims to be a school developing young men and women of character – leaders now and for the future. The College strives to achieve this through challenging and supporting students to develop the intellectual character necessary to become passionate about the ongoing pursuit of learning; to have the skills and confidence to succeed in an increasingly complex world; and to become committed to creating positive futures for the good of all, through leadership and active participation in their communities. To challenge the individual to achieve and to act with purpose and character. In 2017, A.B. Paterson College will offer testing in Year 6 (Level 1) and Year 9 (Level 2) only, for 2018 scholarships in Years 7-9 and Years 10-12. Students who wish to apply for scholarship in Years 10-12, or who are already A.B. Paterson College scholarship holders for Years 7-9, will then be eligible, as Year 9 students, to apply/reapply for scholarship in Years 10-12. Students who apply for a Music Scholarship are also expected to sit for the examination, as the College requires that Music Scholarship holders should also be competent academic students. To apply for a Music Scholarship, please register online for the appropriate ACER scholarship examination as indicated above, and return the completed Music Application form available below to Karen Milburn, Head of Admissions at the College, at kmn@abpat.qld.edu.au Sometime after the examination, auditions will be held for prospective Music Scholarship awardees. *** NB Please note that students who apply for a Music scholarship in Years 10-12 must study Music as an elective subject in these years. Students, who have applied for enrolment at A.B. Paterson College in year levels eligible for scholarship consideration, are informed of the forthcoming examination. To register for scholarship in 2018, please go to https://www.abpat.qld.edu.au/page/scholarships from early November. A.B. Paterson College is located in Arundel, which lies in the heart of the growth corridor of the Northern Gold Coast. 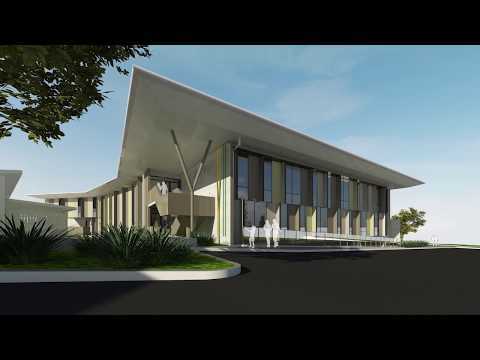 The College is conveniently located off the M1 (exit 62), a 45 minute drive from Brisbane and 10 minutes from the Southport CBD and beaches of the Gold Coast. A network of bus services provides transport to the College across the Gold Coast, extending north to Dreamworld and south to the QLD/NSW border. For further information regarding local school buses, please click here. The nearest train station is Helensvale North. Please contact Customer Service on customerservice@tagroup.net.au or phone on 5552 2700 for other bus services in your area. or phone Translink on 131 230. The College caters for students with a diverse range of talents, interests, needs and academic abilities, through its rigorous and comprehensive academic programme, diverse co-curricular activities, and strong pastoral care system. Our College boasts leading educators, committed to on-going professional development, and highly dedicated non-teaching staff committed to the achievement of the College’s mission. I would like to take this opportunity to commend our College to you as a thriving and dynamic environment, and a place of outstanding educational opportunities and offerings. While websites are useful for the dissemination of information, they do not fully enable the unique essence of a school to be understood and appreciated and so, while I encourage you to peruse our site, I invite you to watch my video blogs, 'Talk Times with Principal Grimes' and visit our beautiful campus for a personal tour, and an opportunity to see how our community can help in the education and growth of your child. A.B. Paterson College - Opening in 2019!